A gift from Brighton is perfect for Easter, Mother's Day, Birthdays, Graduation, Anniversaries or just to say... "I Love You". 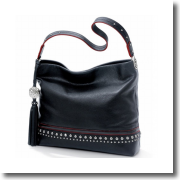 Max Soft Hobo - Nailhead studs continue to be a fashion favorite, blending edgy chic with sophisticated style. 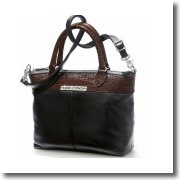 Here, they are joined by gorgeous hardware and the softest of leathers for a luxurious, rich look. Poppy Mini Messenger - It takes more than 2.5 hours and 47,600 stitches to complete the embroidered front panel on this leather messenger. 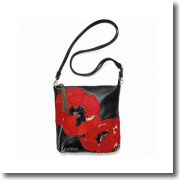 A stunner, featuring Vera's own poppy renderings. 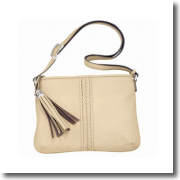 Tavi Messenger - A sleek slim body, the Tavi Messenger will win praise with its buttery soft biscotti leather. With a chic chevron pattern and Octavia tassel, the message is clear: style and substance are in perfect harmony. Tristan Satchel - With a modern silhouette and gorgeous hardware that matches the Mingle collection, this stylish satchel is a great everyday bag for the woman who's a minimalist, but appreciates beauty. 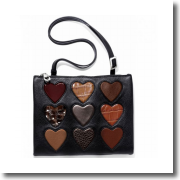 Sally Messenger - Start your next romance with this beauty, in black and chocolate. With ten stitched hearts in both smooth and embossed leathers, this messenger keeps your heart (and daily essentials) in the right place. 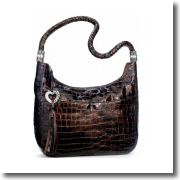 Barbados Ziptop Hobo - The classic simplicity draws your eyes to this hobo bag, but the strap makes a lasting impression. Its soft braid hugs the shoulder like nothing else. A gorgeous tassel adds a lovely swish! Just a sampling. . . .